(A DiaMedica Guide to Optimum Wellness) (Paperback). 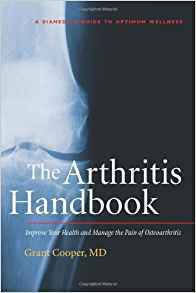 The Arthritis Handbook:ÜImprove Your Health and Manage The Pain of Osteoarthritis dispels the common myth that joint pain is a natural part of aging, and provides readers with the knowledge they need to prevent further deterioration, take an active role in their treatment, and ultimately reach their health goals. By making some basic lifestyle adjustments – including proper nutrition, exercise, and a few carefully selected supplements, most people with arthritis can enjoy a healthy, pain-free, active lifestyle. This handbook will help everyone affected by arthritis to better understand the entire spectrum of care— from diet, exercise, and supplements to more aggressive treatments such as drugs, injections, and surgery. — Joseph E. Herrera, DO, Director of Sports Medicine, Mount Sinai School of Medicine, New York. In an increasingly sedentary society, where it is often unnecessary to get up from one’s desk for long periods of time, neck pain has grown to epidemic proportions. This handbook explains the causes, simple steps that may be effective at home, when it’s time to see a doctor, and the range of available and effective treatments. 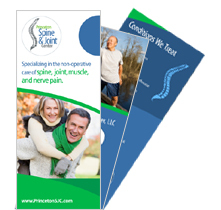 Written by two physicians with extensive experience managing neck and joint pain, the book details how to set up a workplace to prevent injury, a simple, effective 10-minute program of stretches and strength training, the importance of good posture, medical and surgical options when necessary, and more. 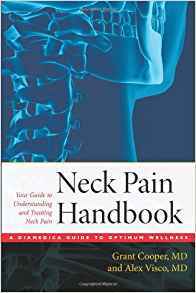 Perhaps most importantly, The Neck Pain Handbook discusses how the reader can prevent neck pain, so that once it’s gone, it stays gone. 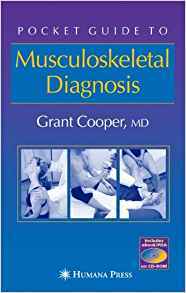 This book provides a concise step-by-step approach to confidently establishing a working clinical diagnosis and finding appropriate treatment options for the most common musculoskeletal ailments. Organized by body region and written with clarity, this guide details the important questions to ask in history taking, the physical examination maneuvers appropriate for each pathology, the possible explanations and additional tests needed to diagnose the condition, and the most up-to-date treatment options available. The book offers clear explanations why each step in the history and physical examination is performed and discusses the basic pathophysiological processes involved. The ailments covered include neck and shooting arm pain; shoulder pain; elbow pain; wrist and hand pain; low back, hip, and shooting leg pain; knee pain, ankle pain, and foot pain. Numerous photographs demonstrate the correct hands-on methods for physical examination of the patient. A value-added CD-ROM version of book is included for downloading and use in the reader’s PC or PDA. 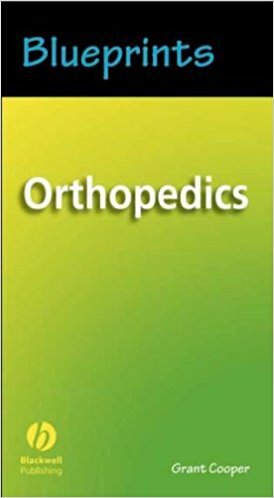 Designed as a quick read for students on an orthopedics rotation and others who want to know more about the specialty, Blueprints Orthopedics covers the essentials that every student needs to know in a pocket-sized, practical reference. Coverage of each anatomic region begins with a concise overview of high-yield surgical and functional anatomy, followed by the physical examination, diagnostic evaluation, and treatment of common disorders that students are likely to encounter. Fifty multiple-choice review questions are included, plus appendices on career and residency opportunities, a handy reference list of commonly prescribed medications, and a glossary of key terms and tests. This book relates some of the countless, colorful stories that have occurred during the first year of clinical rotations and presents them in a manner that will not only entertain but will also mentor with the hope that the lessons of others will allow a smoother path for the next generation of students. 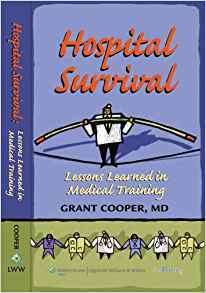 The lessons in this book are applicable to any medical student doing a clinical rotation, intern, or resident and will appeal to anyone who wants to know what really goes on inside our hospitals. Comprehensive and concise review of the essential facts needed to do a successful clinical rotation in physical medicine and rehabilitation (PM&R). Writing to be quickly read and comprehended, the authors spell out the implications of brain injury, the effects of spinal cord injury, the uses of orthotics and prosthetics, and the crucial importance of cardiac and pulmonary rehabilitation to maximize functional independence. Additional chapters detail the principles of pediatric, neuromuscular, cancer, and orthopedic rehabilitation, and demonstrate the use of electrodiagnostic techniques that can be used to help localize a lesion of the neuromuscular system and determine its severity, time course, and prognosis. The book also provides a handy review for passing PM&R board exams. 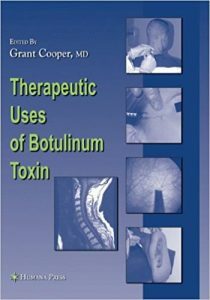 Therapeutic Uses of Botulinum Toxin outlines and examines our current understanding of botulinum toxin and its various therapeutic applications. The editors explore how this novel compound fits into a wide variety of treatment algorithms across medical subspecialties. Each chapter focuses on a particular symptom and explains how botulinum toxin is currently used for treatment. The chapter authors are all leaders in their fields and are respected for their progressive approach to treatment. Physicians will benefit not only from those chapters devoted to their particular sub-specialty, but from the inspiring success resulting from the use of botulinum toxin in other patient populations. The concluding chapter examines questions of immunity, explores economic issues, and attempts to forecast future directions for this novel and somewhat mysterious drug. Clinicians across a wide variety of disciplines will refer to this comprehensive reference time and time again. by Grant Cooper, M.D. and Joseph E. Herrera, D.O. This high-yield, user-friendly manual is a practical road map for all physicians who diagnose and treat patients with musculoskeletal symptoms, including physiatrists, orthopedists, internists, family practitioners, rheumatologists, and neurologists. 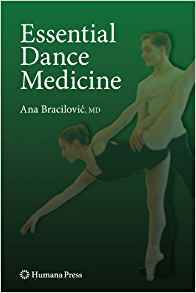 Organized by anatomic region, the book provides a step-by-step approach to the diagnosis and aggressive nonsurgical management of common musculoskeletal symptoms. Each chapter opens with diagnosis and treatment algorithms for common chief complaints. Numerous high-yield points give a clear picture of each complaint and a logical, stepwise approach to management. The authors also indicate when a symptom is an emergency or requires surgical evaluation. It isn’t easy to stop smoking. Yet according to the American Lung Association, well over 45 million Americans have already quit. How did they do it? They found the method that worked for them and they stuck to it. Often, it wasn’t the first method they tried. In fact, most smokers attempt to quit several times before they are successful-before they find the technique that works for them. This book can help you find the method that’s right for you so that you never smoke again. 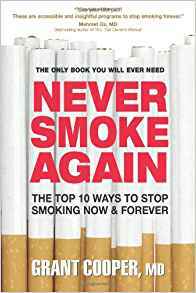 Never Smoke Again begins by taking a long, hard look at cigarettes, at why you smoke them, and at how they keep you coming back for more-even when you want desperately to toss them away. It then presents ten chapters, each of which focuses on one of the top ten techniques for quitting smoking: cold turkey, tapering off, nicotine gum, nicotine lozenges, nicotine nasal spray, nicotine inhaler, zyban, chantix, hypnosis. For each stop-smoking method, you’ll discover what the method is, how it works, how you can best use it, what its risks and drawbacks are, and how effective it is compared with other available techniques. Special Pros and Cons sections highlight the important features of each method, making it easier to pick the tool or tools that are most suited to your needs. A Resources list guides you to organizations that can provide further information and support, rounding out your arsenal of anti-smoking weapons. You have within you the strength and resolve needed to kick the smoking habit forever. Never Smoke Again will show you how to access that power, team it up with a proven quitting technique, and begin a new, healthy, cigarette-free life. by Joseph E. Herrera, D.O. and Grant Cooper, M.D. Sports medicine is a popular medical sub-specialty. Sports medicine certainly overlaps with general musculoskeletal medicine, but there are important differences to be aware of Essential Sports Medicine provides the highest yield, comprehensive, pertinent information about sports medicine so that the busy clinician can find it accessible and practical. 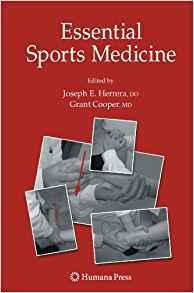 Medical students, residents, and fellows will find Essential Sports Medicine useful for providing an accessible overview of the most salient points in the field of sports medicine. Interest and public participation in various forms of dance is at an all-time high in the United States. From children to young adults to senior citizens, people today are increasingly participating in dance-related activities that make exercise fun. In addition to ballet, modern and jazz, popular classes combine dance with aerobics, yoga, Pilates and various toning and strengthening programs. Injuries resulting from these activities are common. 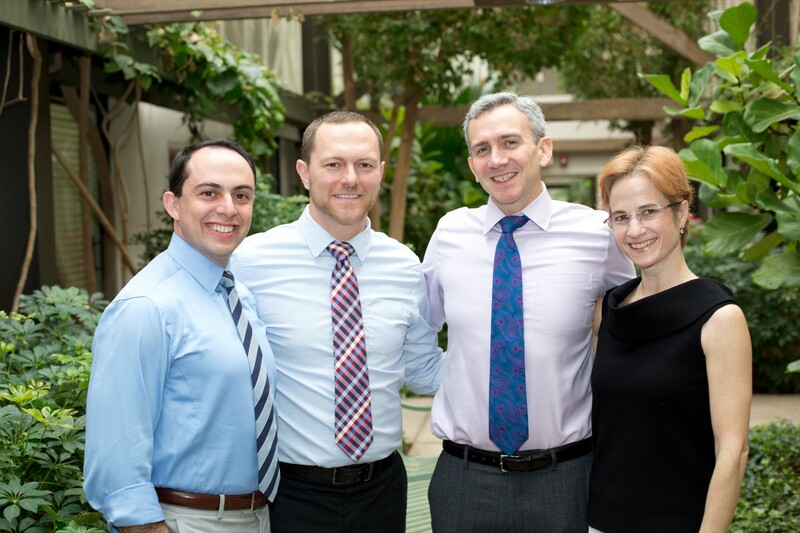 With this growing population, physicians are facing a new kind of patient involved in dance. From amateurs to professionals, their injuries vary in the biomechanics, treatment and rehabilitation from many injuries usually seen in sports or other performance arenas. by Grant Cooper, M.D., Stuart Kahn, M.D., Paul Zucker, P.T. Written in a user-friendly format and utilizing a case study approach, Acupuncture for Musculoskeletal Medicine describes how acupuncture fits into the treatment paradigm for musculoskeletal complaints. Several different acupuncture treatment styles are presented, and in each example the choice of acupuncture points is explained in detail. These suggested treatments are meant not merely as recipes, but rather as strategies that can be applied to a variety of clinical complaints and conditions. Each case study includes physical examination findings, diagnostic studies, differential diagnosis, and recommendations for standard medical treatments. This is followed by one or more detailed acupuncture treatment strategies. 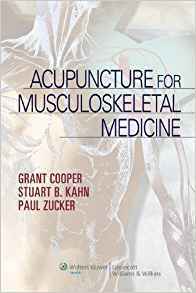 Finally, there is a review of the published research regarding acupuncture as it pertains to musculoskeletal medicine. by Grant Cooper M.D., Alexander Lee M.D., and Stuart Kahn, M.D. Grant Cooper, M.D. and Evan Chait, P.T. 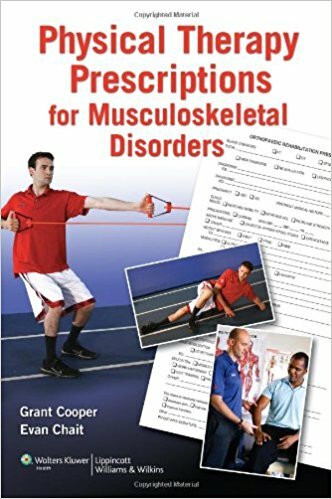 Physical Therapy Prescriptions for Musculoskeletal Disorders equips musculoskeletal physicians with a full understanding of how to write an effective physical therapy prescription, what takes place during physical therapy, and how the therapist fulfills the prescription. 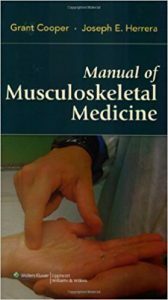 The book reviews cases of patients with typical musculoskeletal problems and shows how the physician arrives at a diagnosis and a physical therapy prescription. Each aspect of the prescription is discussed so that the physician understands each phase of the treatment. The book then follows the patient as seen by the physical therapist. The therapist describes exactly how (s)he uses the prescription, works up the patient, ascertains his/her own diagnosis and treats the patient. Illustrations show each of the exercises described. Veritas Health, edited by Grant Cooper, M.D. If you struggle with long-lasting neck pain, you know the toll it can take. Maybe your neck pain flares up and feels sharp when you try to be active. Or maybe it’s a nagging ache that worsens at night when you’re trying to sleep. There are countless ways for neck pain to interfere with the life you want. This book aims to help you take back control. 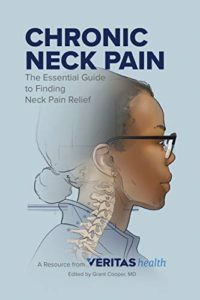 Compiled from the best doctor-authored, peer-reviewed articles of Spine-health.com, this book offers easy-to-read information about neck anatomy, why neck pain may persist, how to get an accurate diagnosis, and which treatments may help reduce pain and improve quality of life.